Someone asked me the other day to explain why I am happy living in Yaletown. I said that if he’d lived in the West End for five years, he’d understand. However, that sounds rather loveless for the West End, so allow me to elaborate. 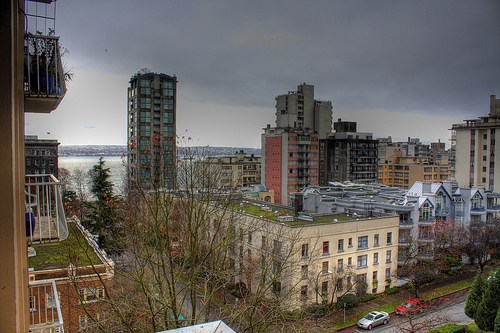 Downtown Vancouver’s oldest neighbourhood is not without its charm. Friendly and familiar faces, quaint walk-ups, beach views from almost every balcony and more ethnic food eateries to choose from than there are in the colours of the rainbows that adorn the West End’s streets. 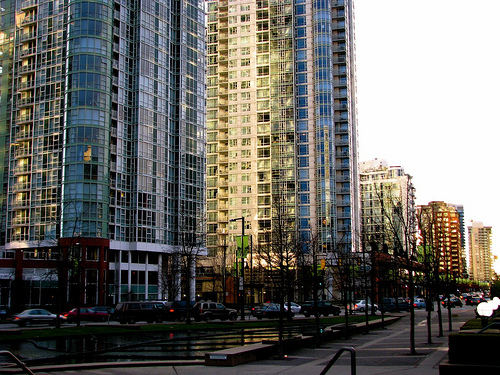 When I first moved to a high-rise just south of Davie Street in the late spring of 2004, I soaked everything up and couldn’t get enough of the place that I called home. The West End also lacks a sense of pretension, so there’s comfort in that. After several years, I began failing at seeing the charm. Maybe it was because I had changed or maybe it was because nothing was new and nothing surprised me anymore. We all have our breaking points, and after the emotional t-bone collision I was smacked by earlier this year, change became inevitable. Never before did I envision myself moving out of the West End (let alone into Yaletown), but I did. While Yaletown has long had a reputation for being the opposite (read: pretentious) of the West End, I’ve found a sort of peace here that I never expected. I could never buy into the notoriety of labels and lust that has become synonymous with those who avoid Yaletown at all costs, and I certainly enjoy making a playful mockery of it all. While being off of work last week, I would walk Jordy in the mornings with thrashed hair, massive mascara caked under my eyes and baggy sweats. Young men in their impeccably-tailored business suits would walk by without so much as a glance and I loved it. I suppose you could say that life in the West End was like living with ADD; life in Yaletown has found me feeling more more balanced, calm and sure-footed. There’s something harmonious about my new neighbourhood that I felt lacked in my life in the West End. We may all be characters in our own books and stories here, but at least I feel I’m on the same page as everyone else around me. Glad you found a new ‘home’. 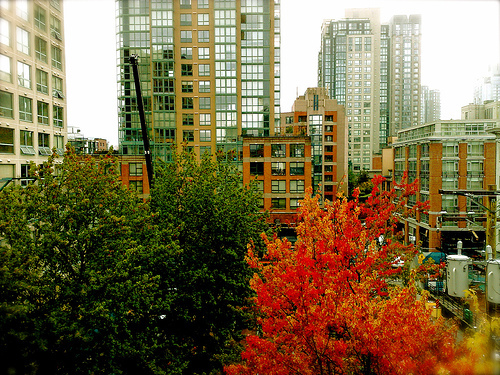 West End or Yaletown…if you feel at peace and balanced with yourself it matters not where you live…and change is good. Change is a wonderful thing, especially a change in surroundings. The one thing that is great about Vancouver is that each neighborhood is so unique and thriving with culture in its own way. I love Yaletown. I love going for coffee at JJ Bean and always seeing familiar faces. I love that when I walk my dog we run into more of her friends than mine. I love the brick buildings along Hamilton street, and the movie night at David Lam park. I love that there is always a place to go to watch the hockey game. Welcome to Yaletown. I’m sure you and Jordy will enjoy it here! Your new home totally suits you, and even in just the first few days of moving in you have made it such a beautiful and peaceful home! The thought of you settling in to your new neighborhood with your little darling makes me smile. I can’t WAIT until our next visit!! Or maybe you just make it look good?